Description Shooting the zombies is not enough at all, you have to trap them! A combination of platformer, shooting, defense and strategy! You cannot win by just triggering your guns, you have to use the traps! 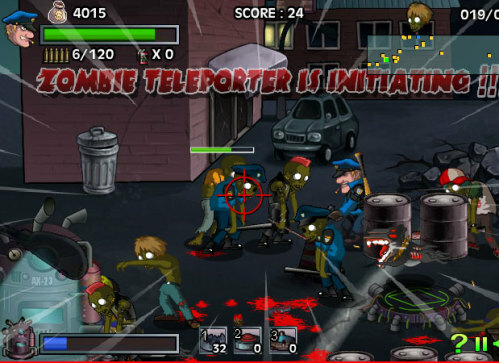 Set traps on the way that zombies pass, it helps a lot during your battle with them! Can you defeat devil's evil plan? Time to rock and roll!